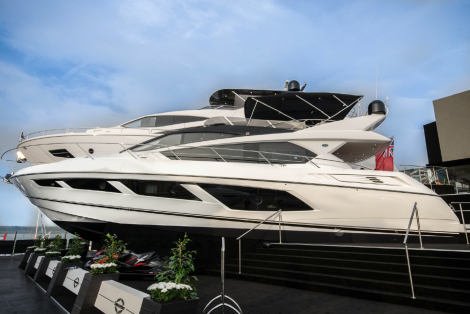 Restyled and modified, the new 2017 Sunseeker Predator 68 MKII model still holds onto its classic roots. 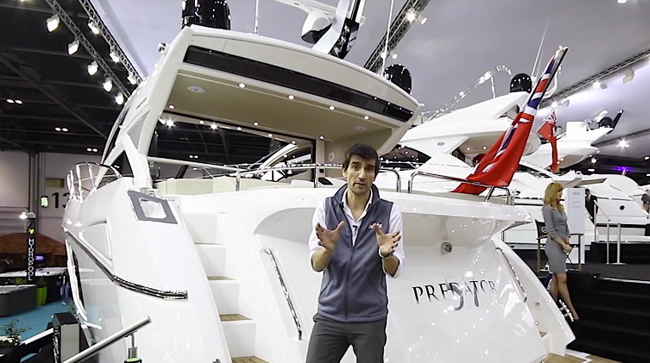 Versatility defines the remix of the classic Sunseeker Predator 68, and the newly-launched 2017 MKII version takes over where her three year-old predecessor left off. The new emphasis is on sportier lines and the ability to morph from an open design to a closed interior at the touch of a button. This is made possible by the large glass door that can either open as normal or disappear entirely by lowering into the machinery spaces. If the climate is amenable and the weather is good, it’s a perfect combination of indoors and out. Accommodations are luxurious, to be sure. 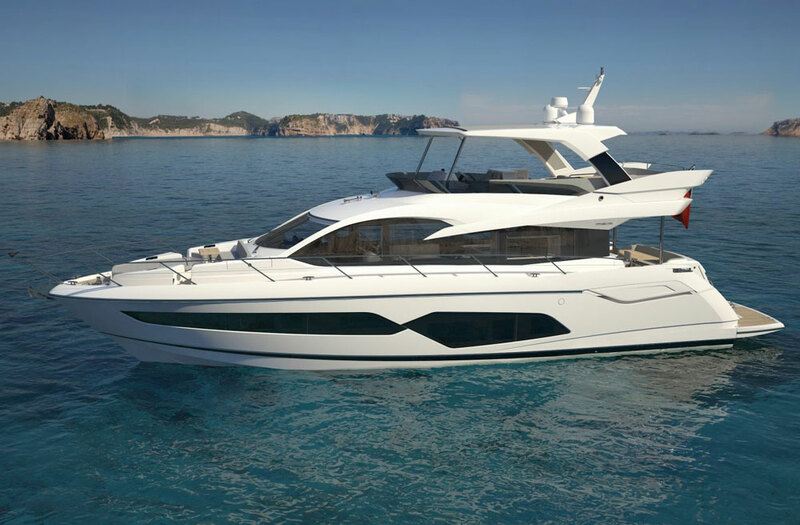 A three-cabin layout will house six overnight guests but 20-plus could enjoy a great cocktail hour aboard. The galley is on the lower level, so if guests feel hungry at night, they don’t have to go far for a snack. Up in the saloon, seating is plentiful around a U-shaped settee and the curved, slightly L-shaped companion bench/dinette to port. Twin helm seats are nearly surrounded by glass with opening arched windows at the side, a vast expanse of windshield forward, and of course, that notable sunroof above. Needless to say, visibility under way is not a problem. 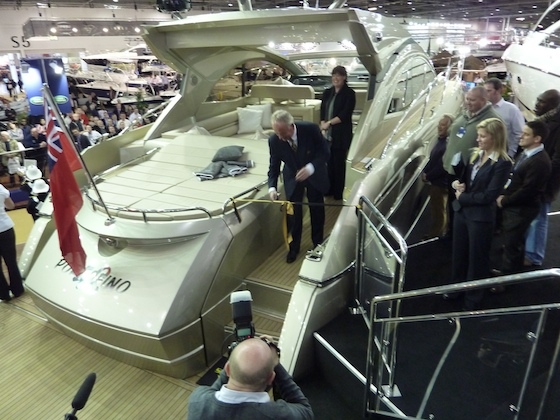 Another nod to seamless living is the enormous sunroof above the saloon and helm station. At almost 100 sq. 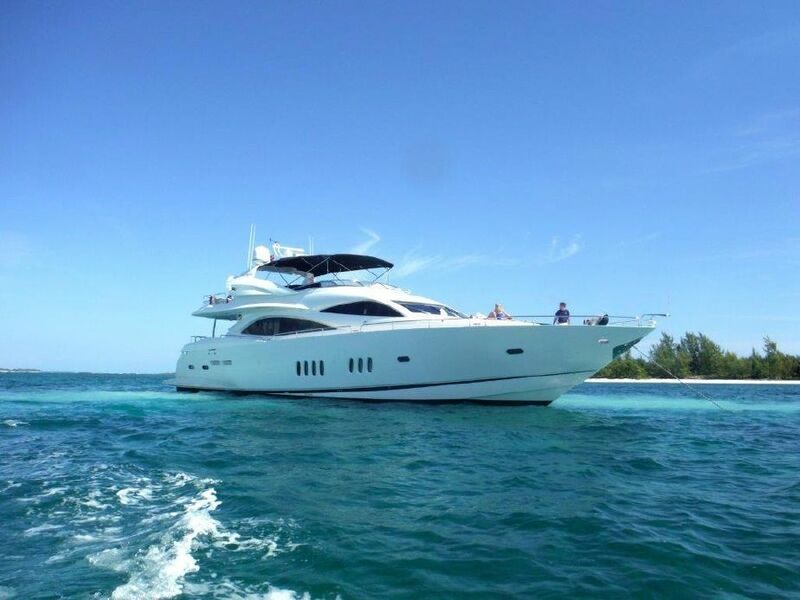 ft., the sunroof slides aft, opening the interior to the sun and breeze so you don’t have to be out on deck to get a tan. Half the aft cockpit is dedicated to a sunpad for four, flanked on either side by staircases that lead down to the large teak beach—almost a given on a yacht of this caliber. 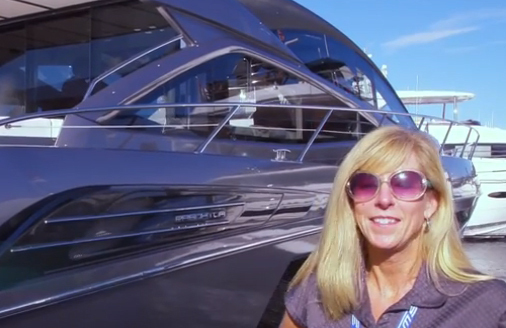 The 68 MKII ups the ante by adding a transom access garage for a tender, PWC, or water-toys. 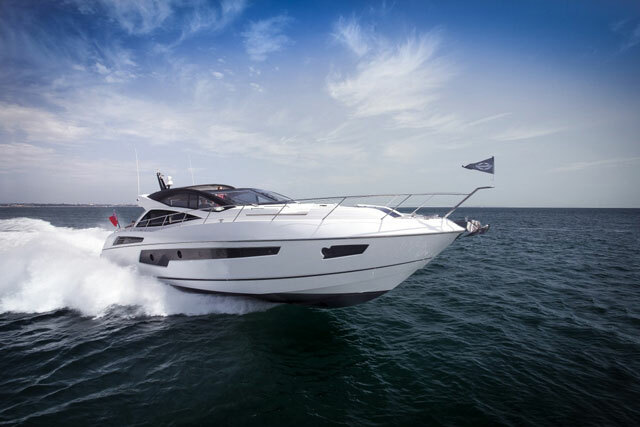 Powered by twin MAN V8 1,200 HP engines, the Predator 68 MKII will cruise at 24 knots with a range of 300 nautical miles. 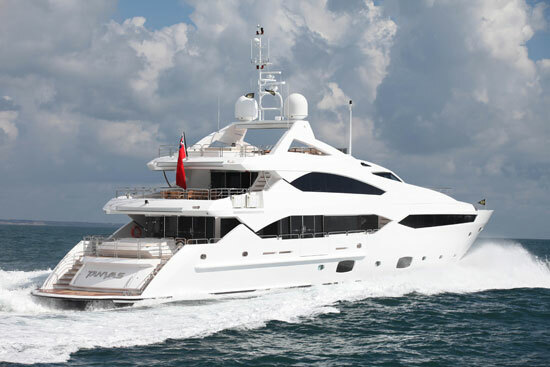 An engine upgrade is available to MAN V12 1,550 HP diesels that can reach 43 knots at wide-open-throttle. 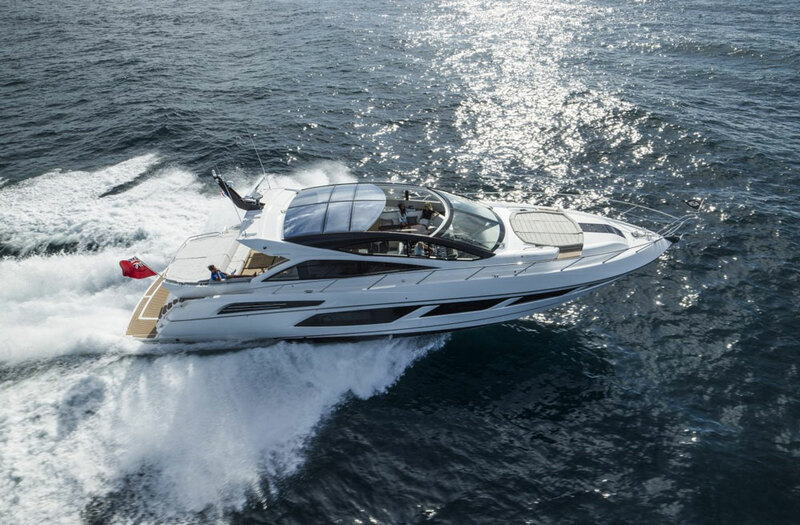 Fresh styling and the functionality have given the Predator 68 a facelift without erasing the benefits of the classic vessel she succeeds. Undoubtedly, the remix will make her relevant for another three years at least.